Santa for your party or event! Thinking about having jolly ol’ Santa pay you and your guests a visit this Holiday Season? Good news, Santa is in town! And there’s good news too. We’ve been talking to the big guy up North, and he’s not quite finished with his naughty or nice list. You’ve still got time. Whew. Word has it that Santa’s easily bribed with cookies and milk. What does Santa do at my Christmas Party? 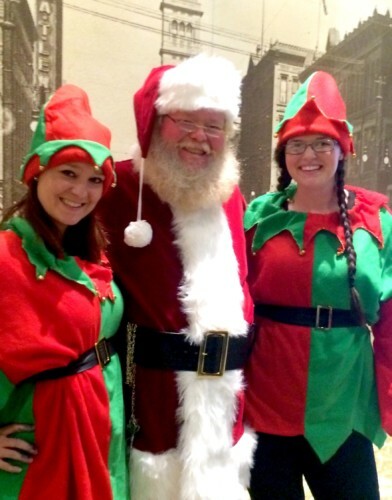 Santa’s been cooped up all year and he’s super ready to make a grand entrance at your event! He comes with a billowing HO-HO-HO and jingle bells too! His Santa suit is plush red velvet, he has a snowy white beard and hair, and even borrowed a pair of official Santa boots from the big guy himself. Santa has a patient ear (two of ‘em actually) and loves to hear all about what the children want for Christmas this year. He’s also a pro at helping parents get the perfect picture of their children enjoying a little one-on-one attention with Santa. 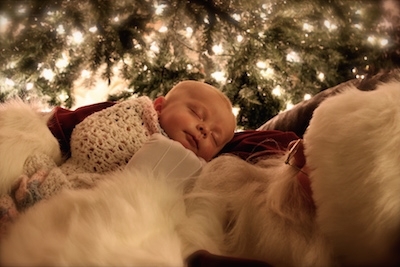 If you have something special you want Santa to deliver, he can accommodate almost any request. He even has a red velvet bag to bring it in! But wait…. Santa’s got something special up his sleeve! Who do boys and girls love almost as much as Santa? Santa’s Elves, of course! Santa’s Elves are perfect for every occasion. They love to interact with the children by reading and telling stories. They also come with the inside scoop on Santa, and they can answer all the curious little questions! Doesn’t get much more magical than that. Is Santa available for a magical moment at my home? He loves Cookies and milk! It’s true. Santa is the biggest cookie-loving jolly guy in all the world! Chocolate chip, peanut butter, snicker doodle, sheesh… any old kind will do. Just don’t forget the milk! Santa would love to come to your home to spread a little Christmas cheer with pictures, interactive time with the children, and even gift delivery. 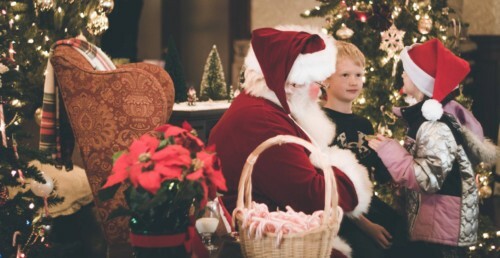 A magical moment with Santa typically lasts between 15 to 30 minutes and can be fully customized to meet your needs. How much is this jolly ol’ time going to set me back? If it were up to Santa, two cookies and a glass of cold milk would do the trick. Santa’s got Reindeer to feed, elves to support, and a wife with a madly expensive baking habit. 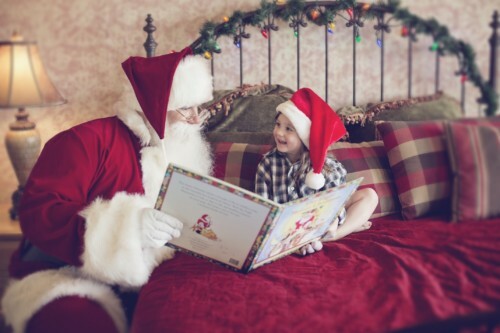 Santa’s rate is $195 per hour with a one-hour minimum (except for Christmas Eve bookings, which are $200 for up to 30 minutes). Feel free to give us a jingle (888-517-2682) to get more information on Santa’s availability and pricing. Santa’s calendar’s filling up fast. Get movin,’ or you may just get Scrooge-d!